This is a user’s product review of the VorTech MP 40 W. power head. Adam Blundell in Advanced Aquarist reviewed this equipment in the May issue 2008, http://www.advancedaquarist.com/2008/5/review. Because this is such an extraordinary water pump and more, and because it solved a number of problems for me I decided to add to that review. Aside from my main circulation pump, which is a Sequence Hammerhead pump I always use two other water pumps to provide circulation in the event that my main circulation pump fails. Having battled Murphy’s law over the years the utility of backup devices is not lost on me. Now, to the problems. I prefer not to have power heads hanging in the tank as they take up too much visible real estate, and they heat the tank water. In the past I have always used Gemini water pumps, where the motor is outside of the tank and what is in the tank is relatively unobtrusive. Furthermore, Gemini pumps circulate about 1000-gallons/hour and don’t heat the tank water. Unfortunately, they usually burn out after about 2 years of continuous use. Both of my Geminis burnt out and the pump is no longer manufactured. I took them apart with the hope that could repair them, but this attempt was unsuccessful. What do? What would replace my Geminis? At the recent MACNA I came across the interesting EchoTech Marine booth, where they were demonstrating their VorTech NT 40 W. pump. The ability of this pump to move a great deal of water while having the motor outside of the tank immediately caught my attention, plus the propeller part took up very little tank real estate. With an accessory battery pack it also appeared to solve another problem, which was what to do when a electrical blackout occurred. This backup battery monitors incoming electrical current, which when cut off will be replaced by the battery. When normal current is restored the battery pack is recharged. One battery unit can keep the pump running for up to 32-hours, and two batteries can be daisy chained together to double that time. With weather in the United States and probably the rest of the world becoming more volatile probably due to global warming there are more and more occasions when we lose electricity. 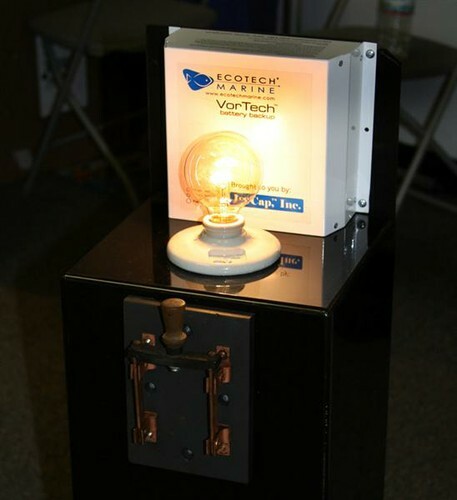 For reef keepers whose reef tanks are veryelectricity dependent it becomes increasingly important to have a backup system when electricity goes out. Along with the main circulation pump and all of the pumps for that matter shut down due to an electrical failure it doesn’t take long for oxygen depletion to cause widespread death or even complete death in a reef tank. 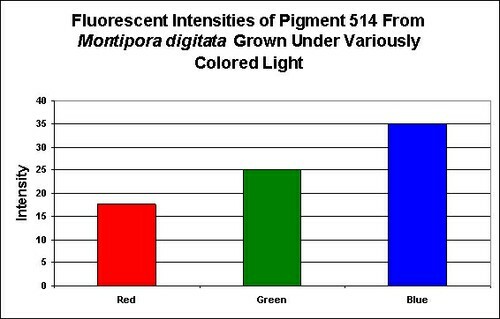 Most reef tanks are heavily stocked, and when electricity is knocked out for one reason or another what will bring a disaster to that reef tank quickly is not the lighting or feeding schedule or things of that nature, it is water circulation. Without water circulation gas exchange in reef tanks will quickly cause CO2 to rise and oxygen to decline. Rapidly, within hours, oxygen levels will decrease to the point where most animals in the reef tank will begin to die. A cascading effect takes place and as animals begin to die things decline even more rapidly. It’s therefore essential that water circulation be maintained. 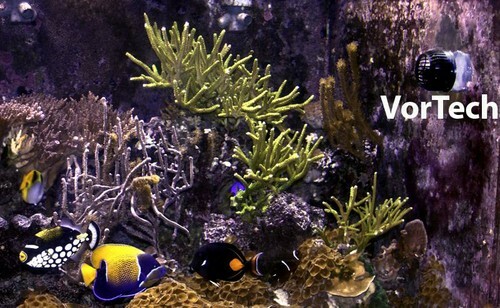 In small reef tanks lethal oxygendeprivation can occur with hours. Murphy’s law goes as follows: whatever can go wrong will and at the worst time possible. Bottom line, backup devices are essential. Even in a large tank one of these pumps will produce enough circulation to keep this system alive for a significant length of time. If I sound enthusiastic about this product it is because I am. Over the years I’ve seen all kinds of equipment come and go, but in my judgment, Vortech pumps are here to stay.